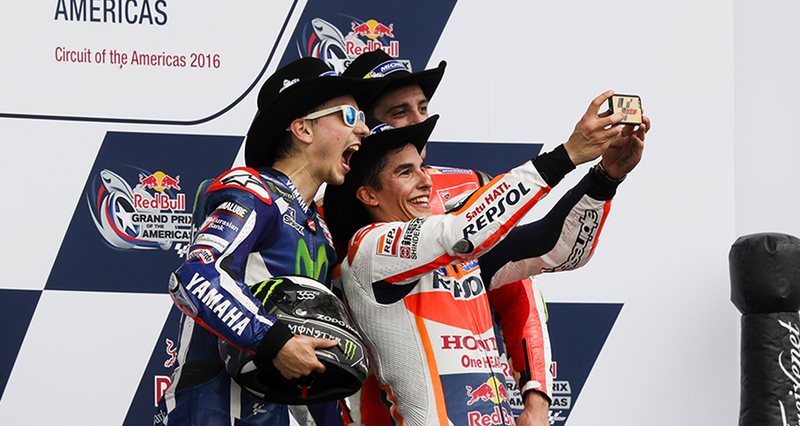 As Circuit of The Americas prepares to host the 2017 MotoGP Red Bull Grand Prix of The Americas this weekend, the promoters of the only MotoGP race week to take place on U.S. soil in 2017 had the chance to speak to some of the biggest stars on the current grid to measure their excitement at returning to race in Austin. Márquez isn’t the only rider to be excited at returning to race at COTA this weekend, with Movistar Yamaha’s Italian superstar and MotoGP legend, Valentino Rossi equally thrilled to be coming back to Austin. “I really like Austin. This is a very difficult track and I love riding here,” he says before stating his intention to continue his strong start to the 2017 season by doing all he can to secure his maiden victory at a circuit he has a special affection for: “I have an open account with this track because last year in the warm up I was all set for a strong race but unfortunately I made a mistake. This year I want to try to have a really good race. I also really like the atmosphere of the American circuit and I come to this place always very happily”. This sense of optimism ahead of the 2017 MotoGP Red Bull Grand Prix of The Americas is also shared by his teammate and current championship leader, Maverick Vinales, who expressed his desire to carry his Moto2 and Suzuki form at the Austin circuit into this weekend, now that he has joined the Movistar Yamaha outfit: “This is a circuit that I really like. I won my first race in Moto2 here and also had one of my best races here with Suzuki. I think it is an excellent circuit for my riding style, I love the ‘up and down’ circuits. Now I’m excited to see how it goes with my Yamaha on this track but I'm sure it will be fantastic as always”. Indeed, he feels that COTA is the ideal venue to get back to winning ways on his Ducati, stating that “Austin is a beautiful circuit, where I have not yet managed to win, but where Ducati, for example, has been on the podium for the past three years. It is a good place to test ourselves, to continue with the evolution of the Desmosedici and to continue adapting my riding style. In the team we are positive, we are all working hard and I am convinced that soon we will change this bad stretch." Lorenzo’s sentiments are shared by his teammate, Andrea Dovizioso, who also feels that this weekend’s race in Austin provides Ducati with the perfect opportunity to come back after the team’s setback in Argentina: “I was very disappointed after Argentina but now we have to think of the next round in America, at COTA. It’s a fantastic track, one of the best in the championship, and it has really different characteristics to the previous two in Qatar and Argentina. One-day General Admission tickets are still available from as low as $39, while three-day tickets to the Horsepower Rodeo start at just $89.